I love beautiful things. Art, in particular, sometimes eludes me. Once in awhile I will see a piece of art that everyone raves about but that I just cannot see why there was such a hubbub! I have friends with wonderful art collections and I love looking at the different things that bring each one of us enjoyment. I have a limited edition serigraph given to me years ago as a gift from a friend in San Francisco. I had it for a couple of years before having it framed. I love it and it hangs in the dining room of my house today. 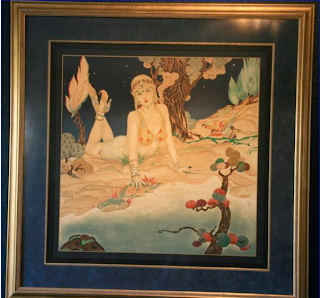 The Persian Princess is a hand pulled serigraph from an original created by Alberto Vargas in 1930. The painting appeared on the cover of "Hearst Magazine". 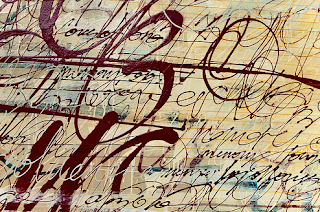 It is signed in the serigraph with the trademark-protected "Varga" signature. I like her. Art.. or not? What ever browns your biscuits can be your "art". Design Inside: LIGHTS! .... Camera....er, LIGHTS!